For the fellow single girls who are proud of where they are and want to show everyone that they are doing pretty darn well solo, how about saying it through what you wear? Here’s a cool selection of clothes for your consideration, where you can showcase your strength and independence with a touch of sass. 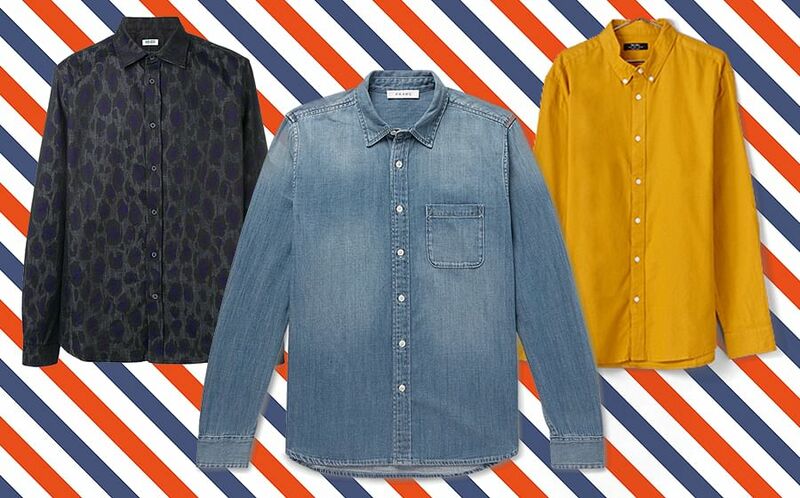 Wear these on Feb 14 — heck, throughout the year. No better time than now to celebrate girl power! Comme des Garcons slogan wallet, S$579 from Farfetch. It’s not so much that I can’t get a man, it’s that I don’t want one. It’s a life choice. My energy comes from my freedom and my money goes into my own wallet to spend solely on myself. This cool wallet, to be exact. Nose Slogan Crossbody Bag, S$66.90 from Zalora. I’m pretty much single because I dare to dream — dream of a guy who turns up on time, who texts back straightaway, who doesn’t ask for nudes and who does offer to pay on dates. I don’t think I dream too big, do you? Public Desire Madison Slogan Sock Fit Ankle Boots, S$78.80 from Zalora. Available in sleek silver or jet black, these sock ankle boots are both on trend and on point with their messaging. Honey — I’m not your baby. Nasaseasons embroidered slogan cap, S$108 from Farfetch. Listen, life is about owning your shizzle. Lacking drive? Can’t be bothered to contour your entire face every day? Actually never go to the gym? Own it. Be proud of who you are. Likewise, if you think you can’t catch a good guy because you have high standards for yourself, or you’re expensive and difficult — own it, and wear it. Nobody denim slogan printed t-shirt, S$78 from Farfetch. If there’s one major positive about being single, it’s that you report to nobody (save the parents, natch). You are as free as a bird in flight, with no cares or concerns for anybody else’s issues, dramas and negativity. You belong to nobody. You are a strong girl, you are a winner, and any boys wanting to play around should run… fast. That is all. Brave Soul Slogan Swimsuit, S$29.90 from Zalora. Whether it is down at Sentosa, East Coast Park or at some faraway shore — catching waves is 100 per cent more beneficial to you than catching feelings. Physical and mental health will always be a plus — unless you fall off the board. We can’t help you there. Rather than have to tell him in an earnest, honest fashion that you’re not interested — stick it on your tee instead. Disclaimer — not just for jellyfish, applies to humans too. Chain dress with slogan, S$19.90 from Zara. Fed up of replying to “Why haven’t you found a man yet?’ questions? Make it clear by rocking this dress, then silently point. You have strong energy and it separates the boys from the men. So far, you’ve only met boys. Boohoo sequin self love club slogan t-shirt in black, S$12.97 from ASOS. Want to find someone to love? First things first — you need to love yourself. You’re not going to throw yourself at any man, nor seek validation from them. Self-love is the key to growth, happiness and being able to love someone else. Say it louder for the seats at the back! 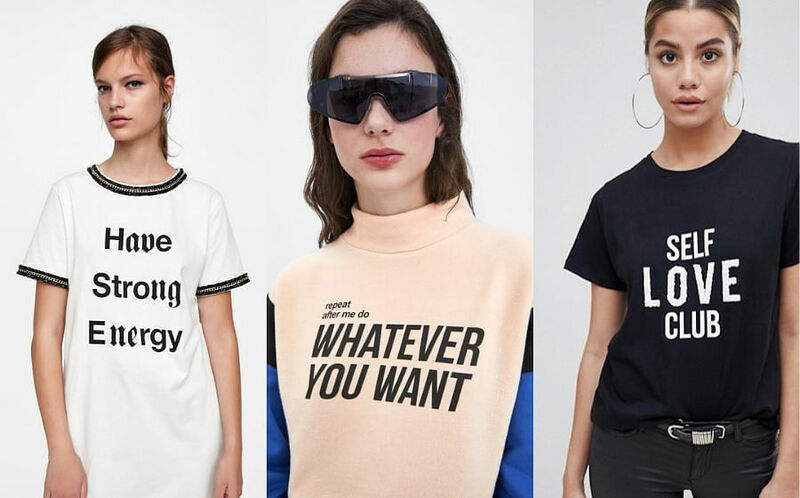 Sweatshirt with slogan, S$49.90 from Zara. Feeling sad that you’re alone? Chant aforementioned single-girl motto every morning or, just buy this sweater instead.